When we started Empire Avenue we had a singular goal of providing people with the benefit of being able to exchange the value derived from their social networking online into things they could use. We're about to make that dream a reality and with it comes the need for a second, complimentary currency. Since the very beginning of Empire Avenue we have talked about our social currency as being called Eaves and this announcement does not change that. Eaves is now made up of E (which you have already been using) and V (our new complimentary rewards currency). E, denoted by the small “e” or the currency symbol for “e", are used throughout the site especially in the Social Stock Market where your Share Price, Dividends and Investments are all handled with E.
Our new complimentary rewards currency to go together with E is denoted by "V". You might notice that our new Empire Avenue logo contains both symbols quite prominently. We will be rolling out display for V's throughout the site over the next few weeks. Any user will be able to use V's, like airline reward points, through Empire Avenue to exchange for goods and services, starting with Digital Entertainment mostly for those in North America (US and Canada) but we're already working on more. We will reveal more more details in the next few weeks about what you can exchange V's to — including more details on the the Digital Entertainment. The question going through most of our users minds will be, "how can I use the E's that I have accumulated?" We haven't forgotten you! E's are very important to us. Almost all items purchasable with V's will be available for a discount when you use E's in conjunction with V's. For example, if an item will have a value of 100V then you might be able to obtain it for for 80V with a certain amount of E's. 1. Does "Eaves" refer to "E's" and "V's? Yes. Eaves refers to Empire Avenue's Social Currency which contains two components, "E's" and "V's". E's is a fun game currency which allows you to unlock access to people through the Social Stock Market, Missions and more. V's is a rewards-based currency which will allow you to unlock goods, services, apps on Empire Avenue and beyond. 2. Can I convert E's to V's? No. Due to the inflationary nature of E's we cannot have you convert directly from E's to V's. You will be able to convert from V's to E's. 3. Will individuals start with any amount of V's? We are currently discussing what starter amounts of V's should be, if any. 4. Will there be confusion between E's and V's? We will work very hard to try and ensure that people do not get confused with the two. We understand, however, that for people who have been using Empire Avenue for years that a second currency might be confusing which is why we are putting specific use cases around Es and Vs and trying not to confuse the two. 5. Will I still be able to create Missions for E's? Yes, everything you currently do with E's you will continue to be able to do. In many cases, such as in the Social Stock Market, you cannot use V's, you must use E's. 6. Will Missions with a V payout be different to the Missions that are available now? There will be differences to Missions with V payouts. We will announce those separately. 7. What exactly will I be able to exchange V's for? We don't want to make any specific announcement at this time. 8. When will V's be rolled out? We will roll V's out over the next couple of weeks prior to the actual marketplace for V's. 9. Will I be able to transfer V's from one account to another? Initially there will be no mechanism to allow transfer from one account to another for V's. 10. When will I be able to spend V's? We will announce different parts of the V Marketplace at different times. We will first make sure that the currency is working and that you can accumulate them before the Marketplace is announced. However, we are talking weeks, not months, after V's are rolled out. 11. You could have called it absolutely anything, why call it "V"? 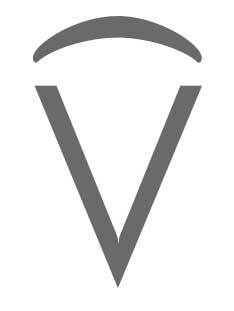 We considered hundreds of names and the only one that made sense with our history, our brand and our team was V's. It speaks to the past, the present and the future of Empire Avenue. 12. How many V do I get for $1 USD? Specific numbers will be revealed at launch. The cost of Vs you receive per dollar may vary depending on the marketplace and based on a posted rate. 13. Is Digital Entertainment available globally? While we will reveal more details on this exchange of Vs and Es for Digital Entertainment, we can definitely say that some Digital Entertainment will be restricted to USA and Canada due to licensing requirements. 14. Is V plural or singular. Please discuss this post and announcement in the Empire Avenue General Discussion here.